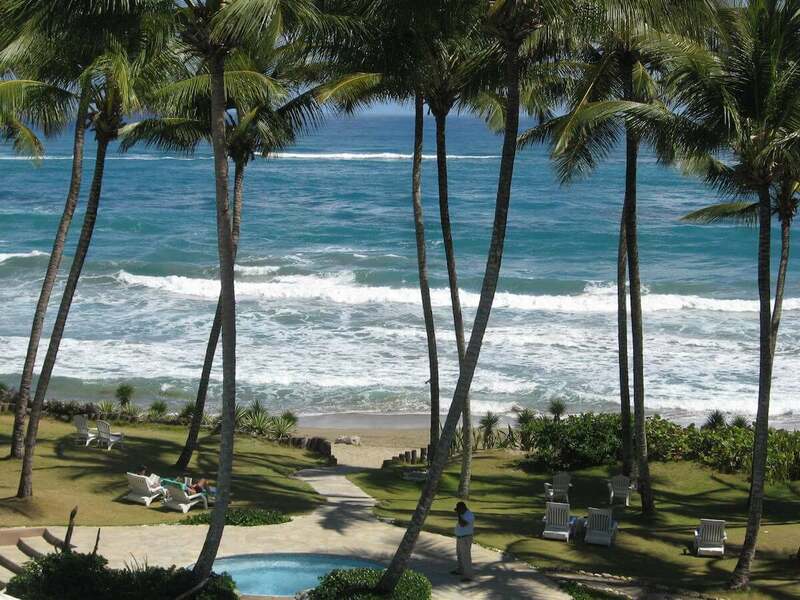 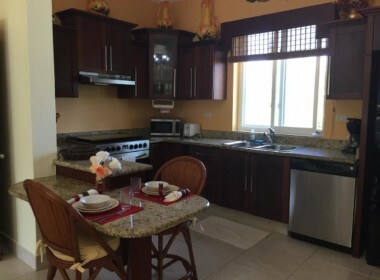 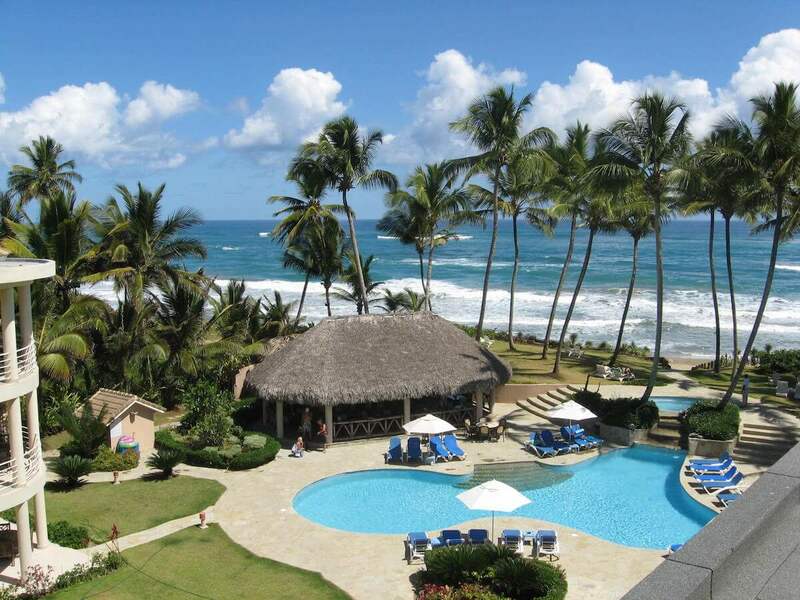 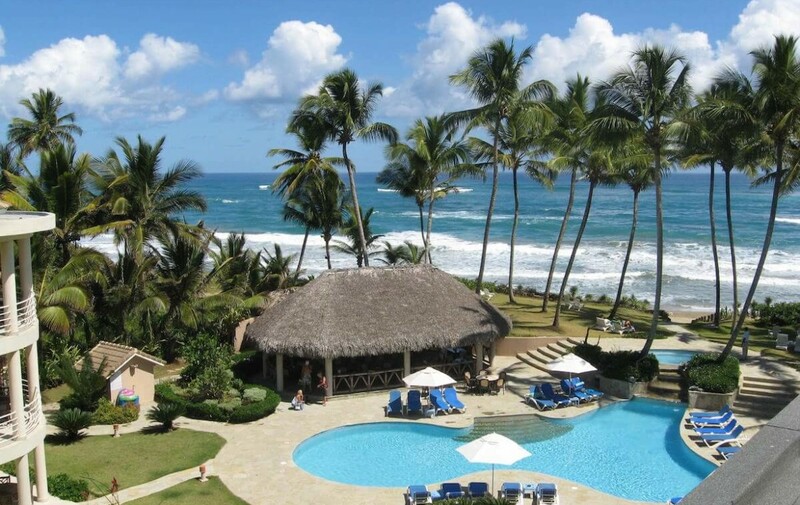 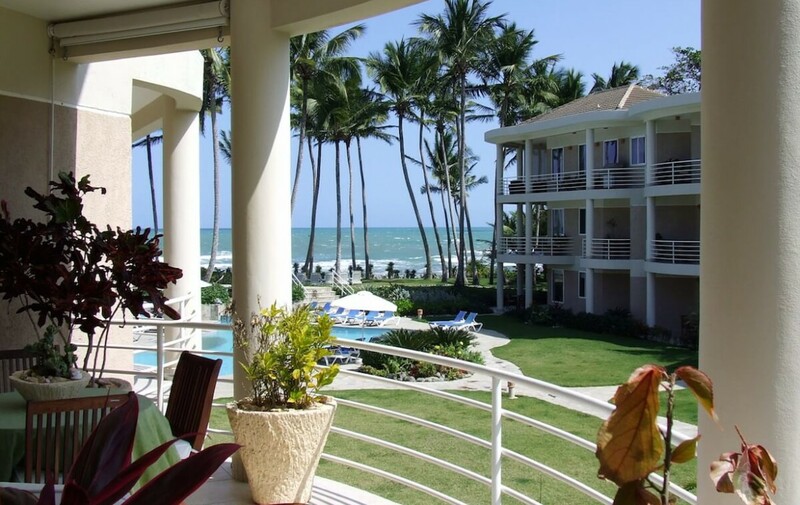 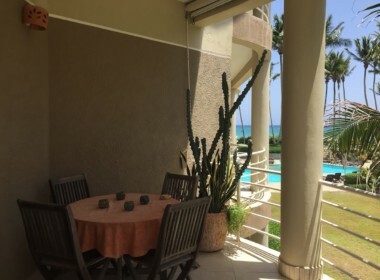 This residential development of Cabarete East occupies 2.75 acres in one of the most beautiful areas on the north coast of the Dominican Republic. 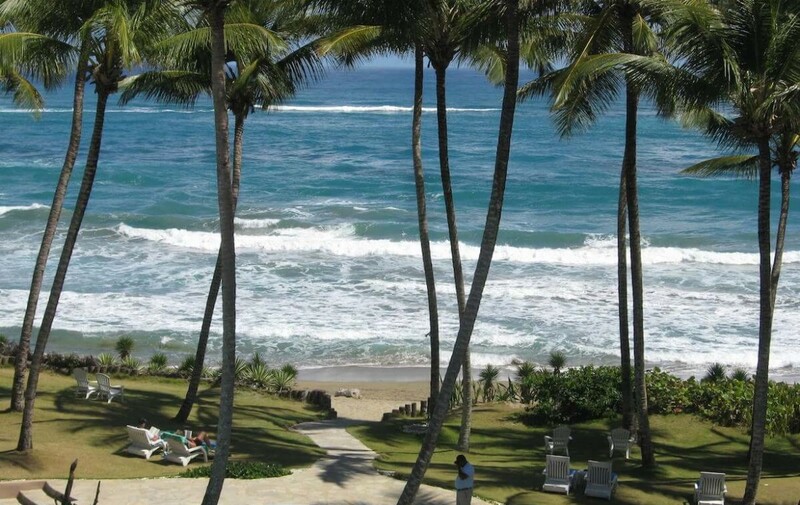 This project is at the east end of Cabarete, a world renown town for its amazing conditions for water sports. 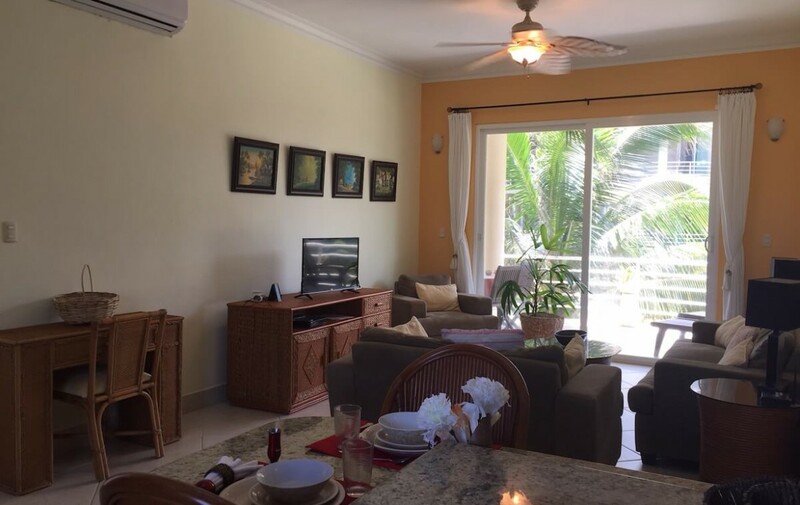 The condominium features supplies store, cleaning service, 24 hour security, private access to the beach, swimming pool and restaurant. 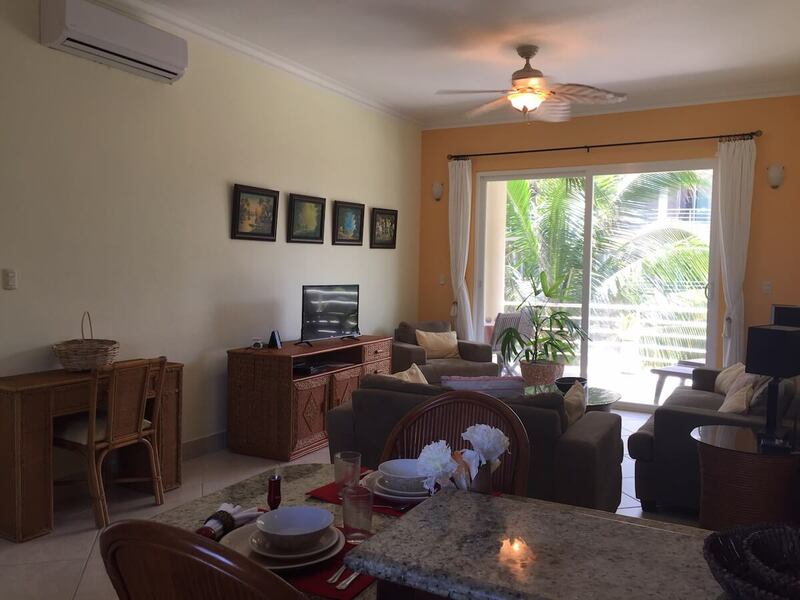 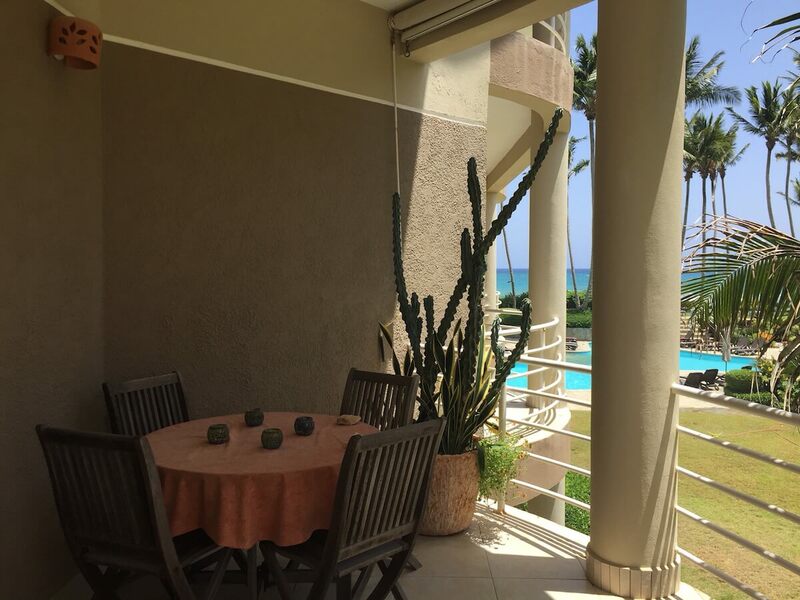 The 36 apartments are fully furnished with ocean view, double insulated windows, and air conditioning. 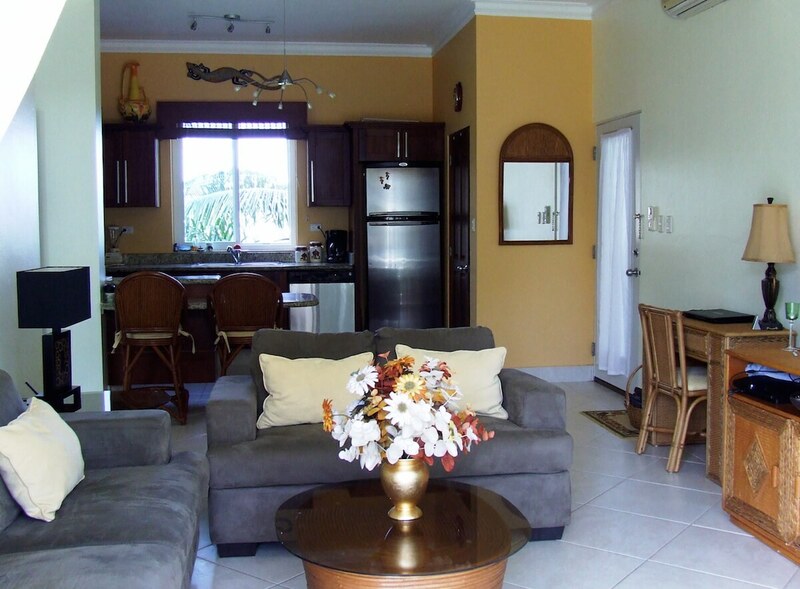 Fresh and lovely apartment situated on the second floor, close to the pool, the restaurant and the beach. 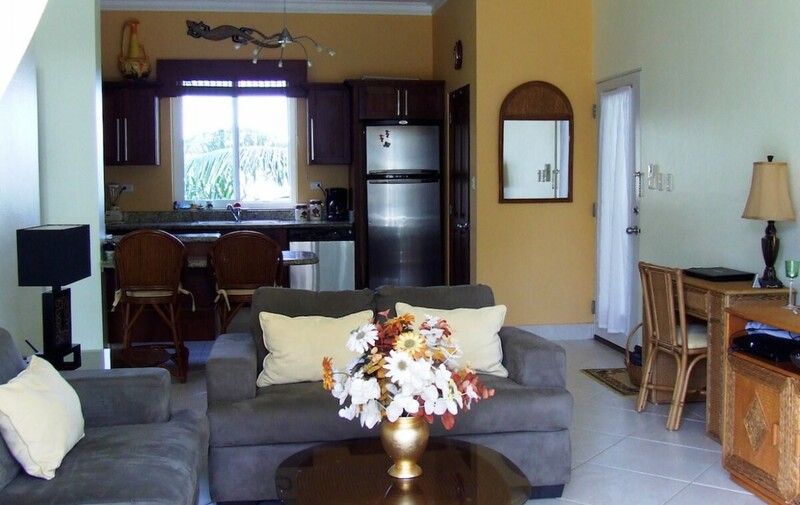 Fully furnished and equipped. 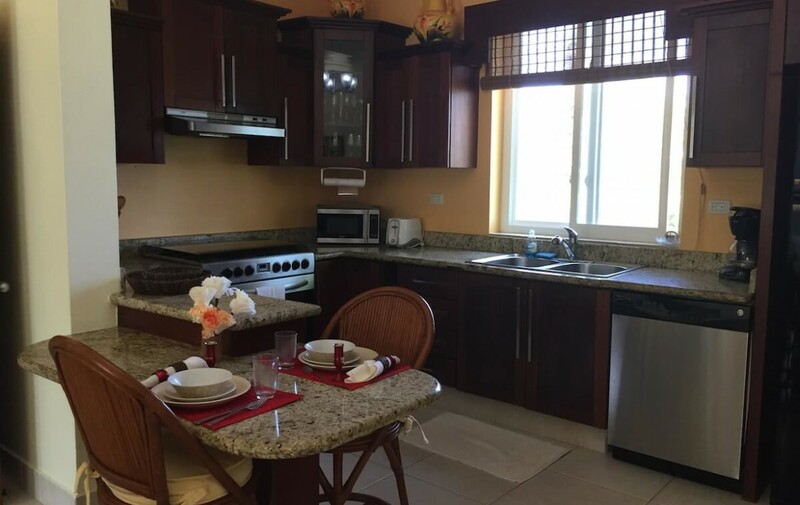 The unit features a warm living room, American style kitchen fully equipped, a small dining area and a spacious terrace. 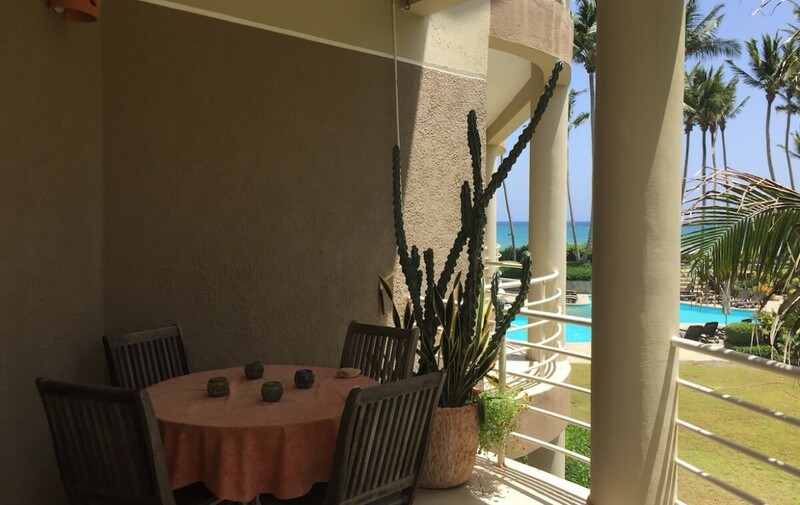 The building is sited to maximize cooling from ocean breezes and the patio is the perfect space to watch the ocean, enjoy and rest! 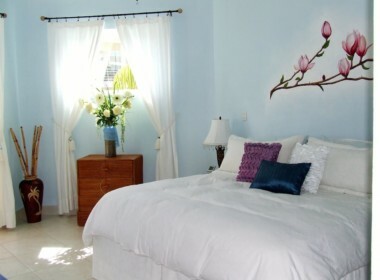 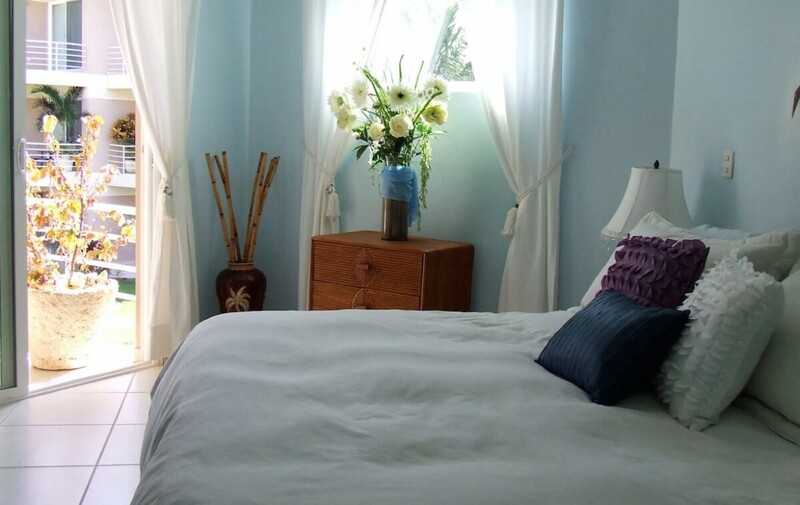 The condo has a lovely and luminous bedroom with a walk-in closet and a shabby chic decoration. 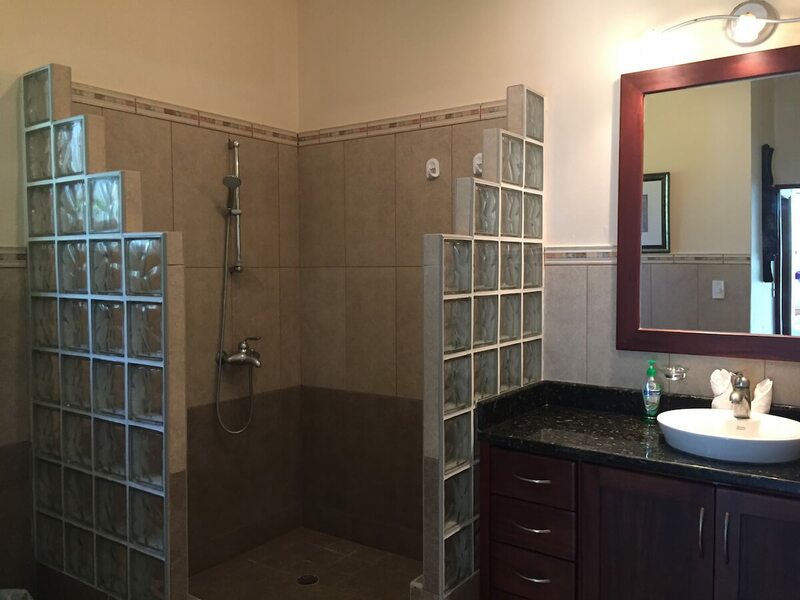 The bathroom has two access both from the living room and bedroom to preserve privacy. 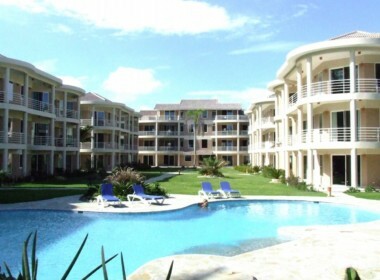 There is also a nice pool with a cascade and a big lawn area and gardens. 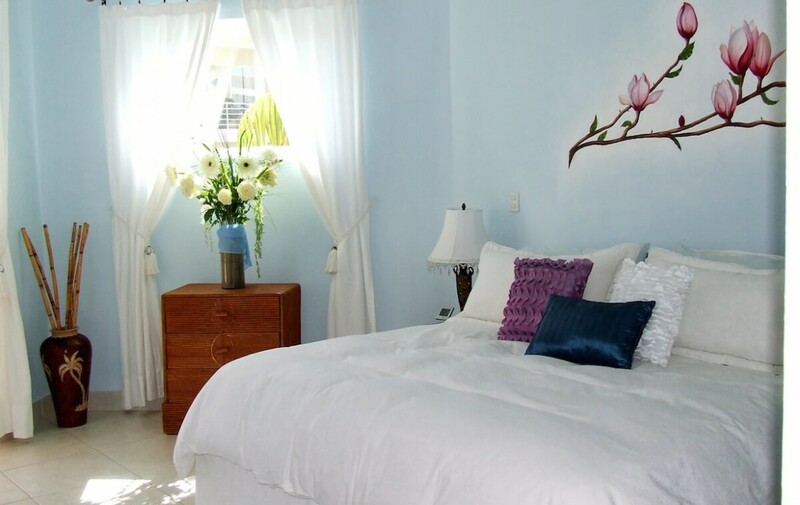 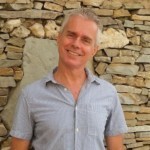 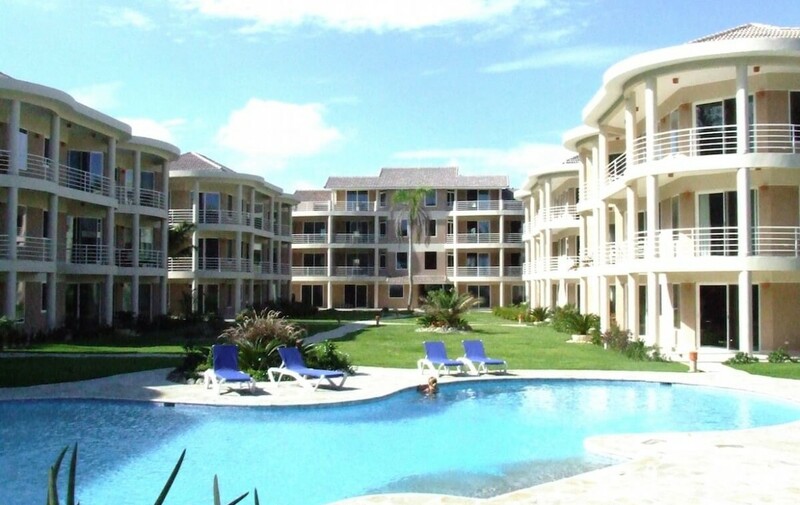 The complex is directly on the ocean with daily gentle Caribbean breezes. 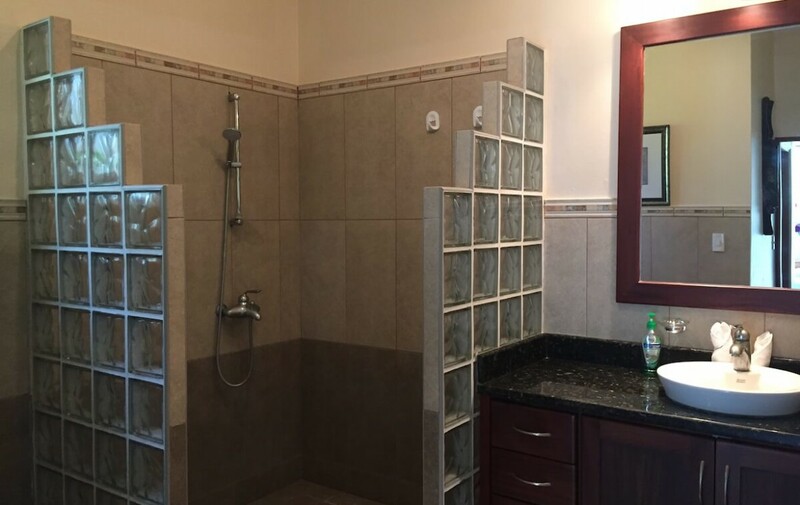 The location of this home is great for those who want to enjoy town just for a while but then retreat to a much calmer place. 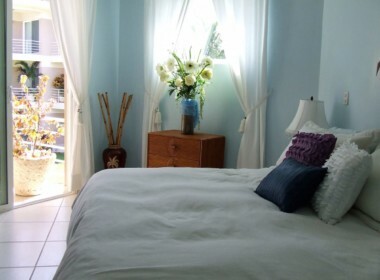 If you want peace and comfort, this is your spot! 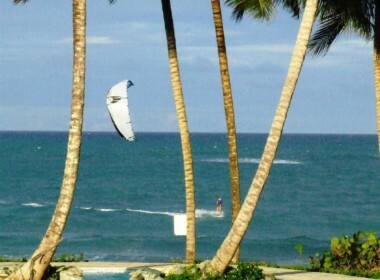 Finally, downtown Cabarete is 1.3 Kilometers away (less than a mile). 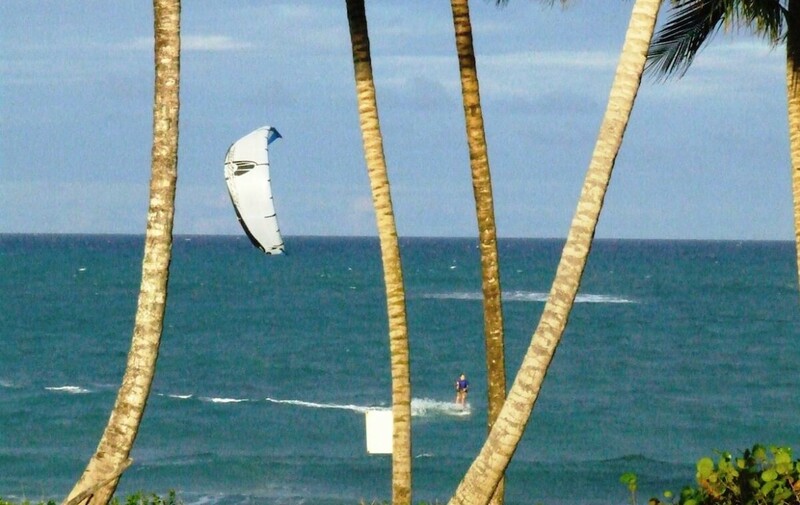 You can walk, either by the beach or by road and get immersed in a sports enthusiasts dream. For the less active, there is a relaxing atmosphere of casual shopping or beachside dining under the palms. 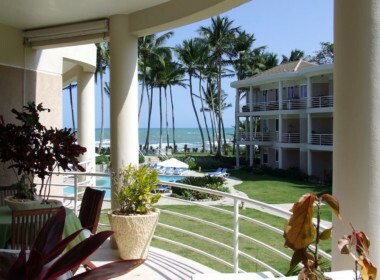 This is a great place to start planning a new life.